This wonderful hearth tray comes unfurnished so you can add your own finishing touches whether you want it painted or stained. 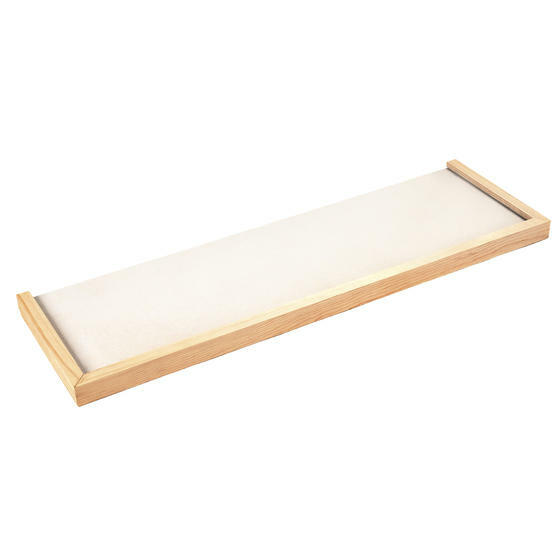 Made from pine the tray is wonderfully durable and is difficult to break or damage, it has a unique grain that will look fantastic in your home. Measuring 137l x 38w cm, the tray adds to the warm cosy glow of your fireplace providing the perfect final touches. Suitable for gas and electric fire places but not solid fuel, the hearth tray is 100% FSC approved. Measuring 137l x 38w cm, this Beldray pine hearth tray looks superb with a large fireplace making it look like a part of the room. The tray comes unfurnished allowing you to choose your ideal paint or varnish it to make it fit in perfectly in your home. The tray is made from high quality pine that has a magnificent unique grain that is durable and looks wonderful. 100% Forest Stewardship Council approved, the wood is taken in a sustainable manor from FSC certified forests. Suitable for both gas and electric fires but not for solid fuel, the hearth is an ideal piece to keep your fireplace neat and tidy.